Excessive side-splitting may lead to blood loss. 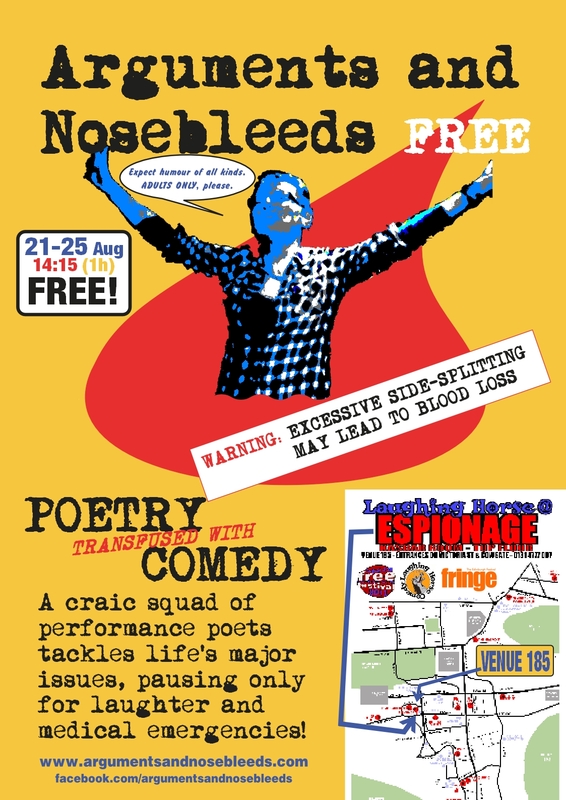 A craic squad of performance poets tackles life’s major issues (scary schoolteachers, body hair, mountaineering grannies, missing teapots etc. ), pausing only for laughter and medical emergencies. 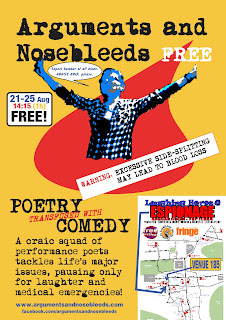 Battered and bruised from last year's success, the tag-team returns for a second bout of verbal footwork and punching both sides of the belt, offering an invigorating afternoon of spoken word transfused with comedy. They expect to haemorrhage humour of all descriptions, from the sanguine and the phlegmatic to occasional melancholy and bile.